On a luxury family holiday, a hotel suite with a private pool buys you time. You’ll gain precious time every morning as the children head for the water rather than for you; with snorkels and inflatables they’ll splash around to their hearts’ content. And when the heat is on, with younger children or toddlers, you’ve got all the time in the world for a quick cooling dip in and out of the pool, whenever you want and with every comfort to hand. In fact for a truly relaxing family holiday, a private pool is no luxury, it’s essential, especially when time is of the essence. 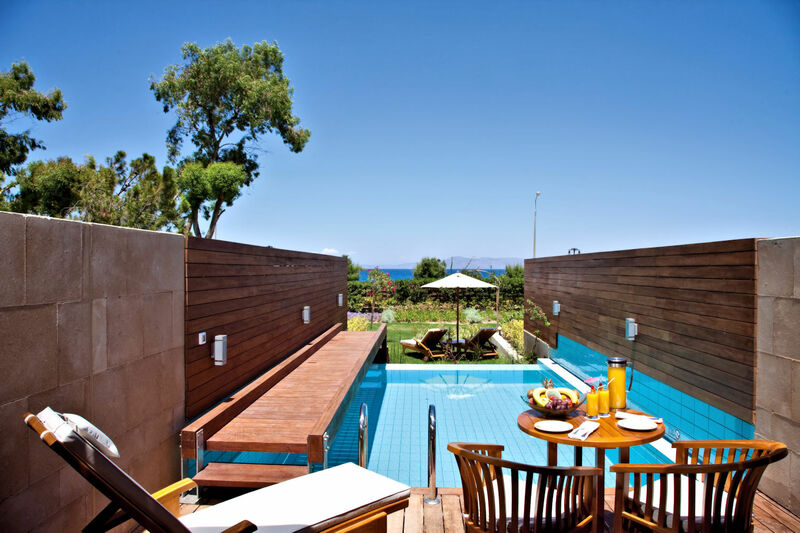 This elegant, luxury boutique hotel is ideal for the perfect stay on this beautiful remote Greek Island. The inspiring and stylish set up of Minos Beach, emphasises the wonders of traditional Greece and its picturesque environment. Relax, next to your own private pool in one of the hotels two-bedroom villa with private pool. This stunning hotel gives you a private and independent stay whilst still giving you opportunities to appreciate the many facilities on offer from the hotel. 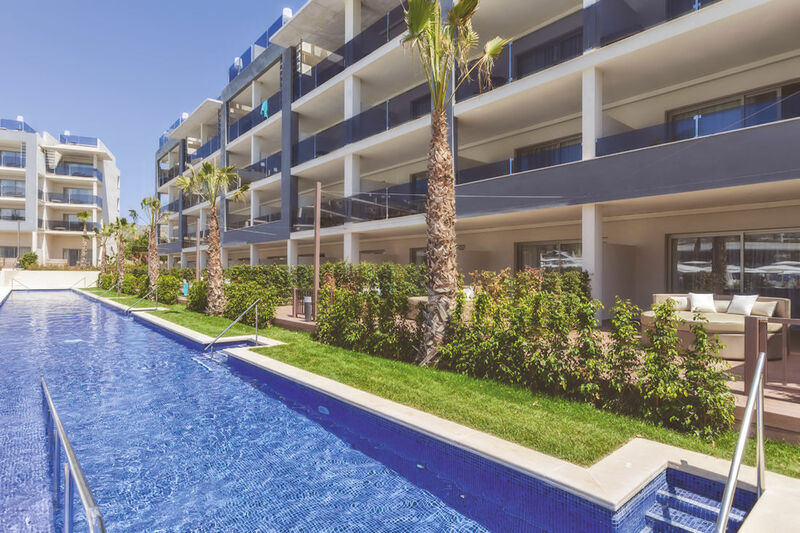 The facilities include tennis courts and on-site water sports, so can also provide you with an action-packed holiday for the family to enjoy all together. It’s quite the life at Amathus Elite Suites. Champagne on arrival. At a private check-in, no less. Suites overlooking both beach and sea. Friendly, attentive staff delivering trays of edible island goodies every afternoon. A particularly lavish breakfast. Superb a la carte cuisine. A supervised kids club and on-site watersports. A vast, lagoon-style pool and private beach. Tearing yourself away from all this is a struggle, but your efforts are rewarded if you do take time out to see Rhodes’ Old Town, the 13th-century ramparts, the opulent Palace of the Grand Masters, and sample some truly outstanding restaurants. 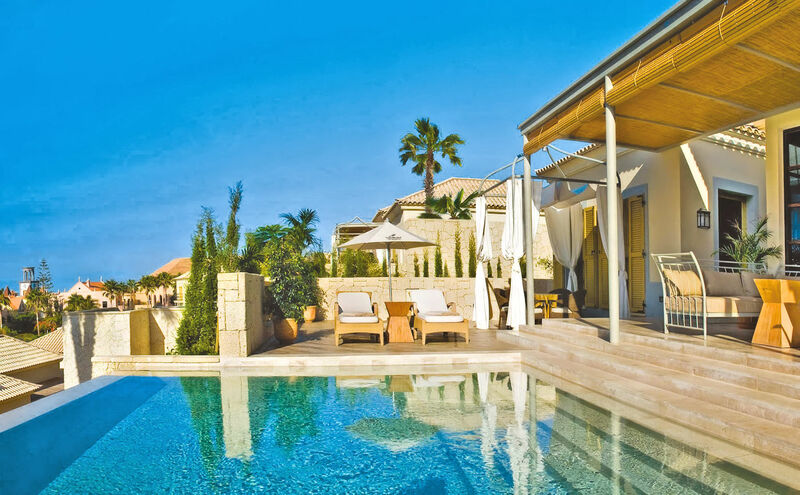 This incredible, luxury five-star hotel, in Mallorca is ideal for the perfect luxury family holiday. With a wide range of facilities from a well organised kids club with lots of fun activities for the children to enjoy, to a beautiful modern spa ideal for optimum relaxation. The Zafiro Palace is also located only 400m from the superb, sandy beach, so can be easily accessed at any time during the day. There is also a collection of different room choices, and although not private, the Swim Up Family Suite means you have an extravagant pool right at your fingertips. 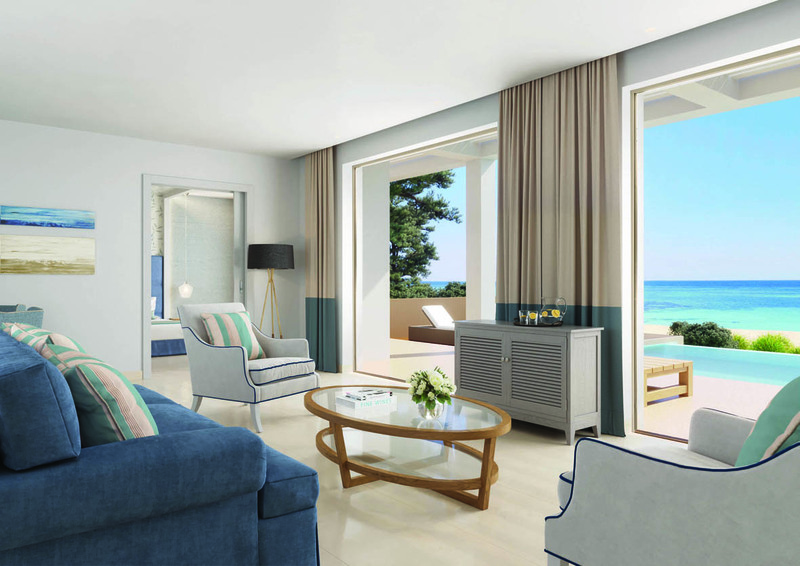 Award-winning Ikos Resorts are re-imagining luxury all-inclusive beach holidays in Greece. Take Ikos Dassia in Corfu. The menus are created by Michelin-starred chefs, signature beauty products are from Anne Sémonin Paris, there’s 24 hour room service, 300 wine labels from which to choose, branded spirits in your minibar, signature cocktails and an almost limitless selection of products and services. All this against the backdrop of a private beach offering an unspoilt stretch of fine white sand framed by fragrant pines and leafy olive trees. Start each day in your wonderfully spacious Deluxe One Bedroom Bungalow Suite with a Nespresso on your terrace and a swim in your private pool, before gathering the children and making your way to the restaurant for a sumptuous breakfast. Bahia del Duque is one of Tenerife’s most established and exclusive hotels, and Las Villas del Duque are sute to delight those who enjoy villa style accommodation with the additional benefits of the services of a leading resort hotel. Guests can enjoy the full services of the hotel, along with the privacy of your own pool, and additionally the villas offer a butler service.